As part of the pre-test procedures, you may want to get the informed consent of the participants. 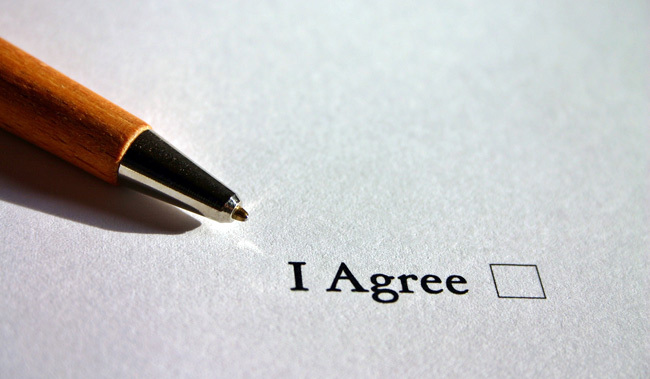 Here we outline the key sections of what should be included on an informed consent form, including some suggested wording. As each test procedure and situation will be different, we have provided some helpful points for you to create your own informed consent that best suits your situation. It is important to list all tests that will be conducted, so that the participant can be aware of the scope of the testing and what to expect, including the expected time to complete the tests. List the reasons for each of the tests. E.g. "You will be performing a sit and reach test, which will give us an idea of your body flexibility. You will also be performing a beep test, which measures your aerobic fitness"
Explain the procedures of each test to be conducted. Explain what will be required of the participant, particularly any potentially stressful and uncomfortable situations, and any tests requiring maximal effort. There is always a risk of injury and adverse medical effects particularly for high intensity or maximal effort tests, such as shortness of breath, muscle pain, chest pain, dizziness, fatigue and nausea. "I understand and have been informed that there exists the possibility of adverse effects during the test"
Describe what personal information will be collected, and if the data will be stored, the method and duration that the data will be retained. "Records are kept strictly confidential unless you consent to release this information." List who to contact if there are any questions or issues. "Questions about the procedures used in the physical fitness tests are encouraged. If you have any questions or need additional information, please ask us to explain further." "I have read this form carefully and I fully understand the test procedures that I will perform and the possible risks and discomforts. I have had had the opportunity to ask questions and any questions have been answered to my satisfaction. I consent to participate in these tests"
Pre-Test Procedures - there are many important steps to be taken to ensure the session runs smoothly and safely, and that the information collected is accurate.